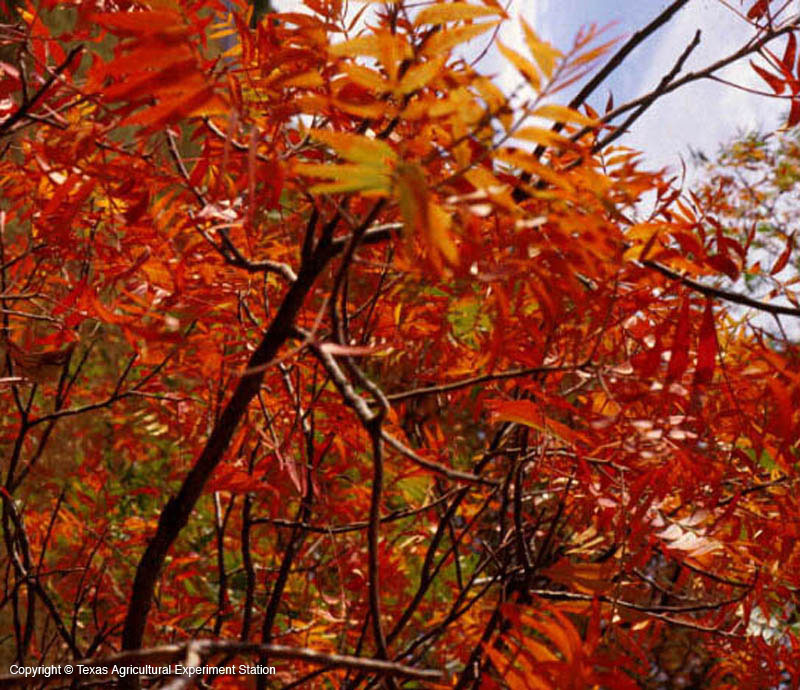 Prairie Flameleaf Sumac is a small tree that grows to around 30 feet high, either as a single-trunked tree or suckering to form colonies. 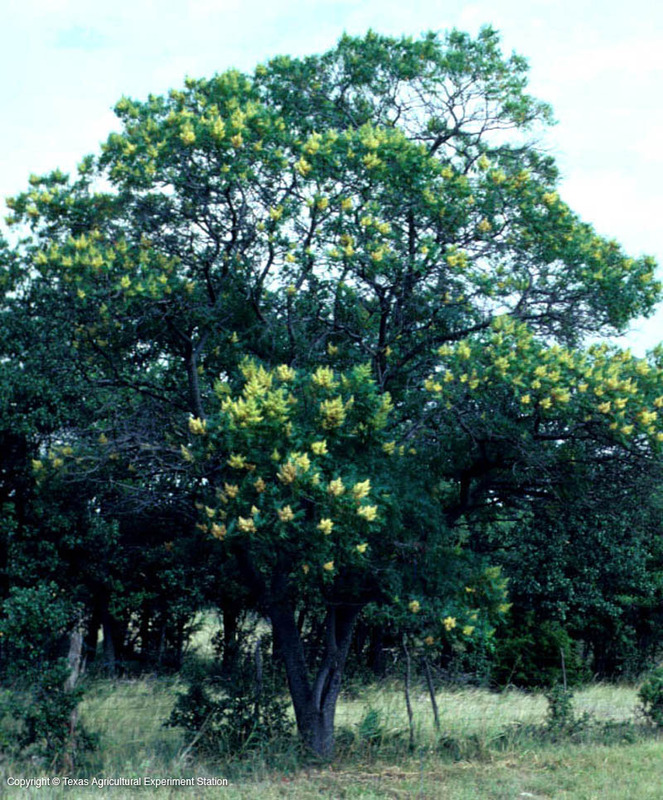 It is usually found on limestone or neutral soils, growing in the central part of Texas and in the higher mountain ranges of the Trans-Pecos. 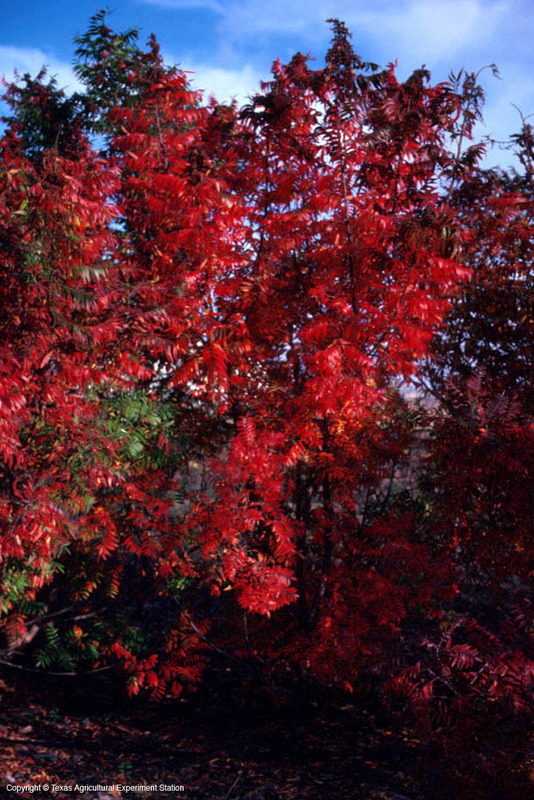 It is extremely heat and drought tolerant, and its leaves are vivid red in the fall. 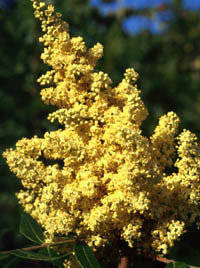 It was once considered a variety of Shining Sumac, R. copallina var. copallina, but its leaves are narrower, to 1/2 inch wide, and it has a more refined and graceful growth habit. It grows to the west of the White Rock Escarpment (Interstate 35 E) whereas Shining Sumac grows to the east.